2018 has been announced the year of cultural and educational exchange between Russia and Japan. To promote crosscultural ties, the Japanese government has established new scholarships for Russian students encouraging them to study in Japan. Hokkaido University is a large educational institution in the north of Japan with partners in Europe and the Russian Far East. 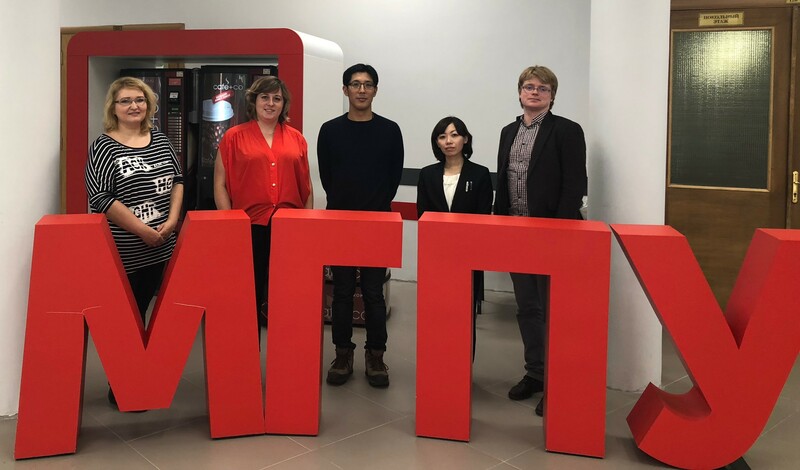 To broaden its reach to the European part of Russia, the representatives of Hokkaido University visited MCU on October 17. Professor Takehiro Okabe, Deputy Director of the Europe Office in Helsinki, and Ms. Rena Kitahama of the International Affairs Department met with Daria Milyaeva, Head of the MCU’s International Relations Department, Anna Savinskaya, Deputy Head of the Japanese Language Department, and Associate Professor Grigory Misochko. The parties discussed partnership arrangements and future prospects of cooperation. The universities have decided to establish a student exchange program that will include students majoring in subjects other than foreign languages. Such students will be able to participate in the program without knowledge of Japanese or Russian, as they can enroll in English-taught programs.